The past 5 years I have been mentoring several young pilots who want to be in YOUR shoes someday. I will continue this path in retirement as it has been very rewarding watching their progress while they learn how to fly! In addition to ground school and instructing, I would like to help these motivated students financially as well. 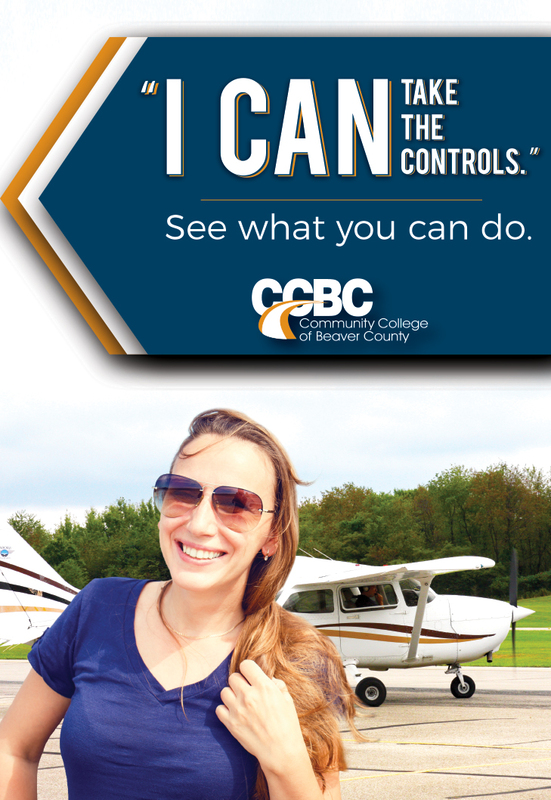 Do you remember back in the day when you started flight training? This is where you come in ... from this point forward I have started an Airbusdriver Scholarship Fund and will use all future Tin Cup donations to assist these young aviators fulfill their dreams. It is my way of giving back after 50 great years of flying. Someday these kids are going to be in your right seat, so please help me help them out by contributing to the Tin Cup fund! I have a PayPal account which utilizes a secure payment method. If you would like to drop some spare change in the Tin Cup fund to help these young aviators, click on the DONATE button below. If you are not comfortable using PayPal Click Here for alternate options. Thanks again to those of you that have helped out, thus ensuring this site stays online! URGENT: PLEASE SEND A320 CQ SIM INTEL ASAP! Notice: The pilot providing the A330 documents has retired, so they will no longer be provided on this site ... sorry! This interactive iPad guide offers an in-depth look into the systems of the Airbus A320 equipped with IAE engines. All pilots from initial type rating to Captain upgrade can benefit from this concise study guide. If you really want to understand A320 systems in depth, this is the book to get! The training focus of this site is for the Airbus A319/320/321 series aircraft CQ. I have included the Simulator Callouts and Approach Briefing Guide, Type Rating Oral Guide, and CQ Scenarios. There are also several study aids available. For those of you who would like to begin preparation in advance of training (highly recommended!) I would recommend reading both OM I and II, as well as utilizing the resources on the company website. 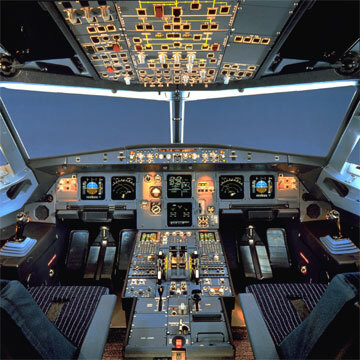 Quite a few individuals have requested a section dedicated to techniques related to flying the Airbus, so that is now incorporated within the site. If you have any items of interest you think would be beneficial to the group please don't hesitate to forward it for posting. If you prefer, it can be implemented in an anonymous manner. There is also an Airbus Boot Camp page with answers to questions sent in from pilots on the line. The concept here is a two way street. You will have access to the latest set of material at all times. When you're up for a pending checkride, just check here to determine if you have the latest set of Guides and the current CQ scenario. If not, feel free to download the most current set. In return, if you would be kind enough to relay any pertinent information relating to your CQ checkride back to me, we can disseminate this information for the benefit of all. In addition, any constructive comments or criticisms would be appreciated. Please report any errors or updates that you find. If you think additional information would be beneficial, let me know. Send any links to other websites you think we should add to the site. Disclaimer: This totally unofficial rogue website and the material contained within is intended for home study purposes only. As always, your company procedures, policies, and manuals will take precedence over the material contained within this website. 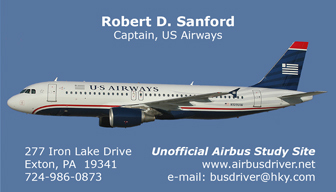 Captain Mike Ray has written about flying the Airbus 320 ... this manual, while intended specifically for the professional airline pilot, would make a terrific addition to any serious flight simmers library. It is a huge document with 400 pages of lavish full color diagrams and descriptions and accompanied by textual explanations written so that even the most unfamiliar person can become an Airbus A320 expert. 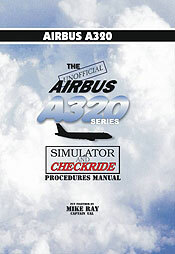 The book is titled "The Unofficial Airbus 320 Simulator Manual" and is in keeping with the other manuals Captain Mike has written. Written with the watchful guidance of an FAA A320 Check Captain at a major airline ... when completed, he remarked, 'It is a work of art!" And it is a beautiful four color offset book that is pleasing aesthetically as well as choked full of definitive technical information. The 6 X 8 1/2 inch size is complemented by the unique lay-flat wire-o binding. Covered with a laminated wrap around cover it is intended for constant use around the computer workplace. the paper was carefully chosen to allow marking and pen notations to be made. The hefty volume will be a constant companion for those simmers who want to master the operation of the Airbus 320 family of airplanes.